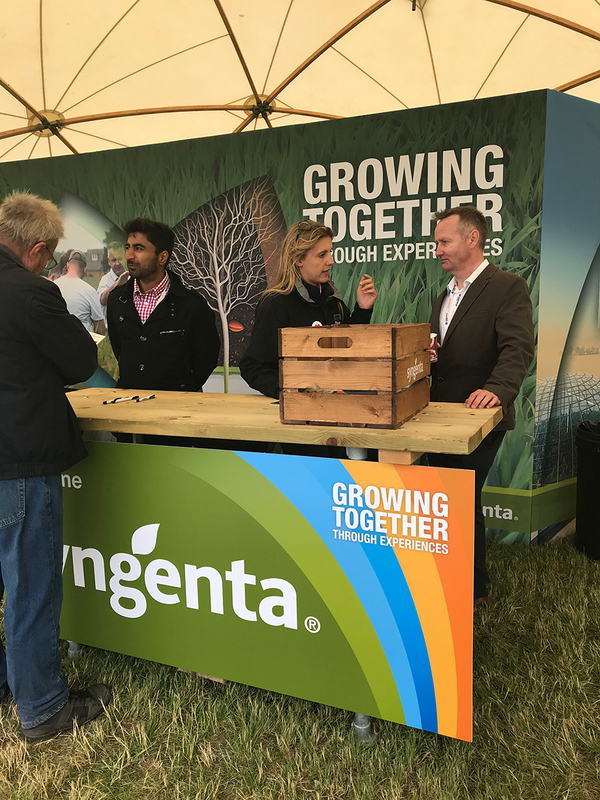 The 2018 Cereals event in Cambridgeshire is coming to a close, and it’s been another busy but rewarding experience supporting the main event sponsor and long-standing client, Syngenta. 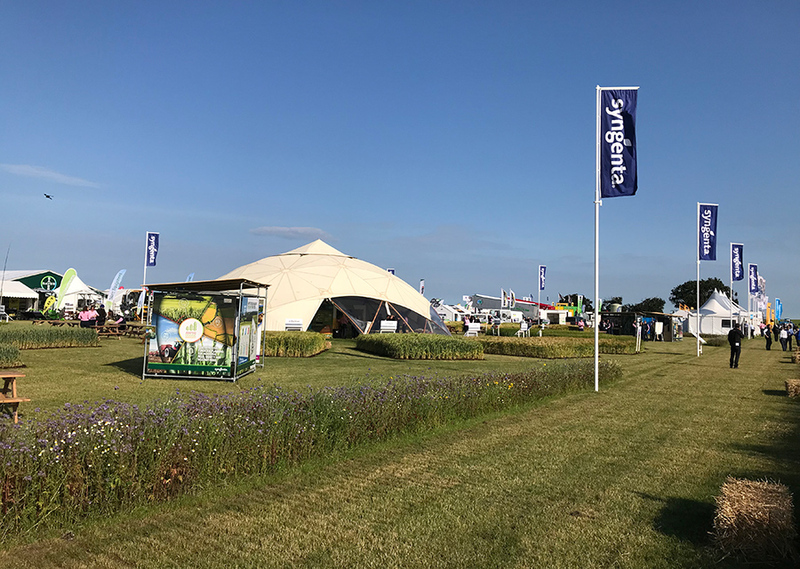 For around 15 years we have helped in delivering Syngenta’s indoor and outdoor exhibition spaces, taking on everything from the theme concept and graphics design to production, installation and event management. 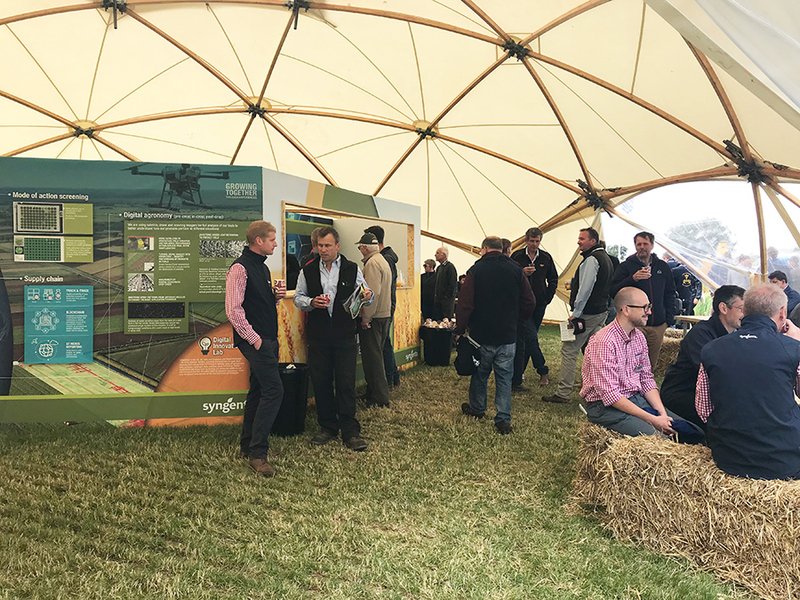 It’s a huge event for the arable industry, with over 20,000 farmers, agronomists and industry professionals attending. 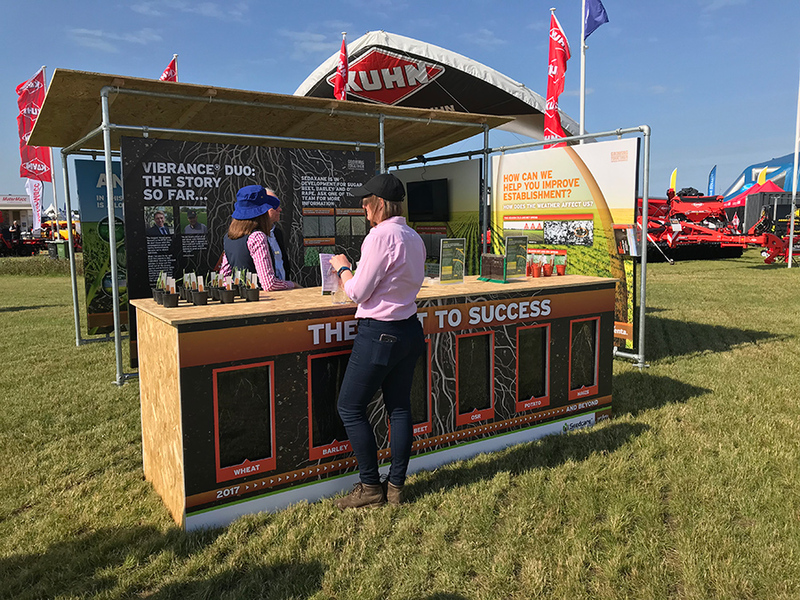 As such it offers a fantastic opportunity for Syngenta to showcase their products, expertise and success, so each year the stand needs to deliver a fresh look and a real impact. 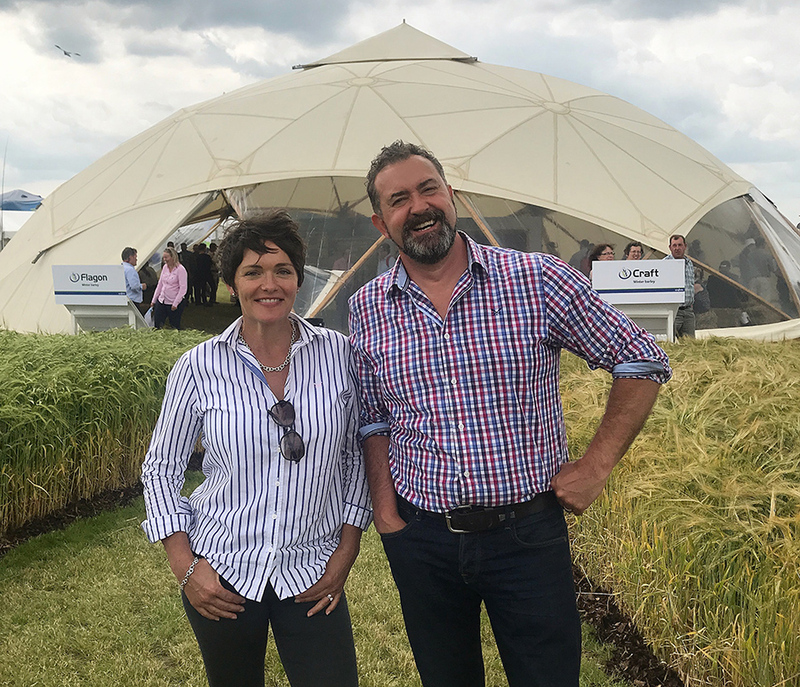 Well done to the GQ team on achieving a great final result, and to Craige, Louise and Virginia who have done a sterling job with the set-up and site management. Now just the deinstall and we’re done for another year!